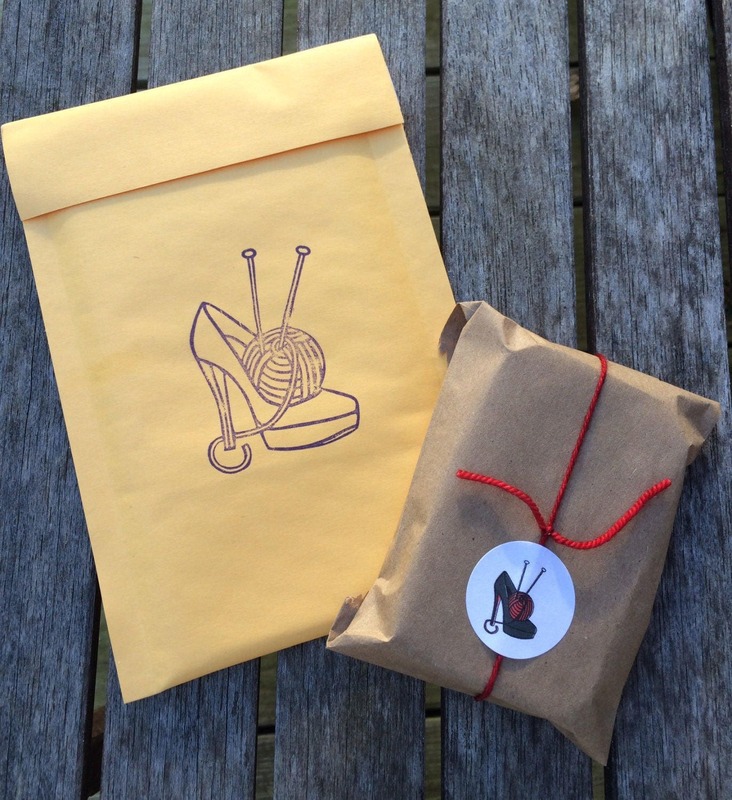 A sweet treat for your knitting! 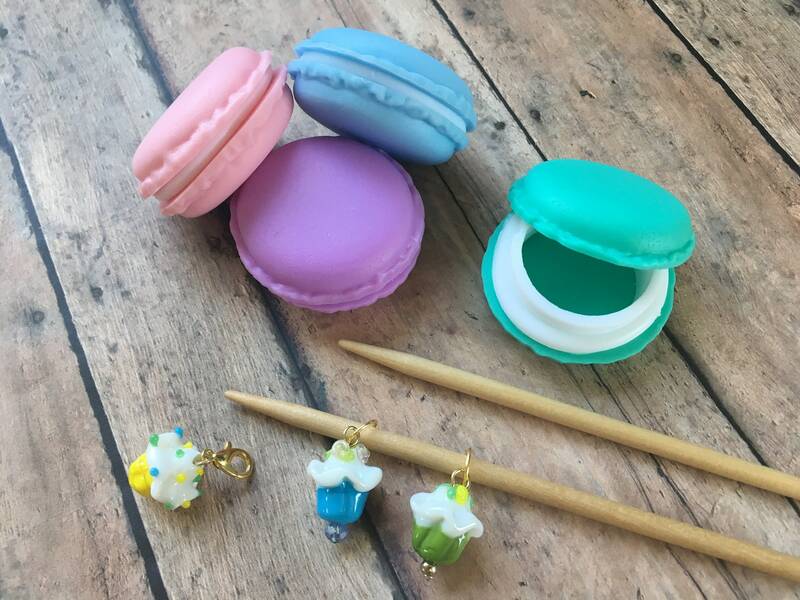 These brightly colored macarons arrive with a set of 3, handblown glass cupcake markers tucked snugly inside. 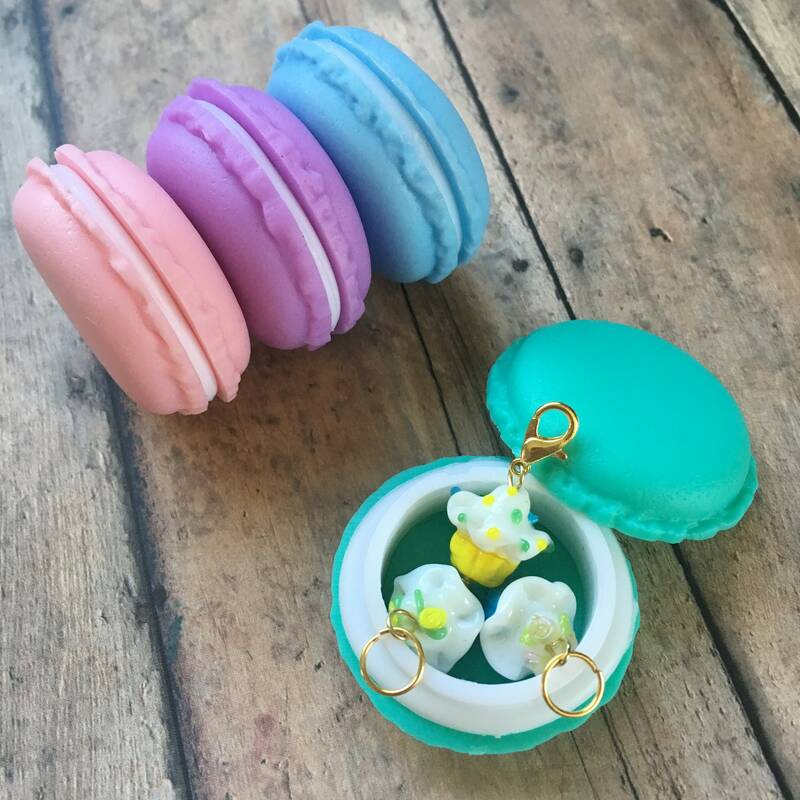 Two cupcakes are strung onto gold toned jumprings that will fit up to a size 9/5mm needle, while the third has been wired onto a lobster clasp for use as a project tracker. 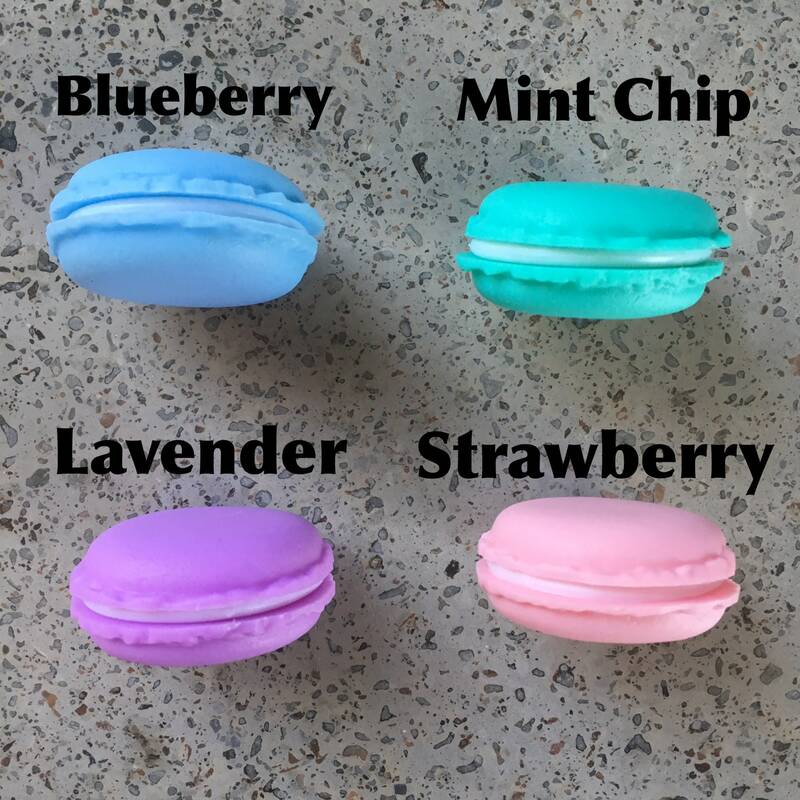 This listing is for 1 macaron in the color of your choice; you will receive one each of blue, green, and yellow cupcakes. Macarons measure approximately 1.75 in/4.4 cm across and .75 in/2 cm thick. 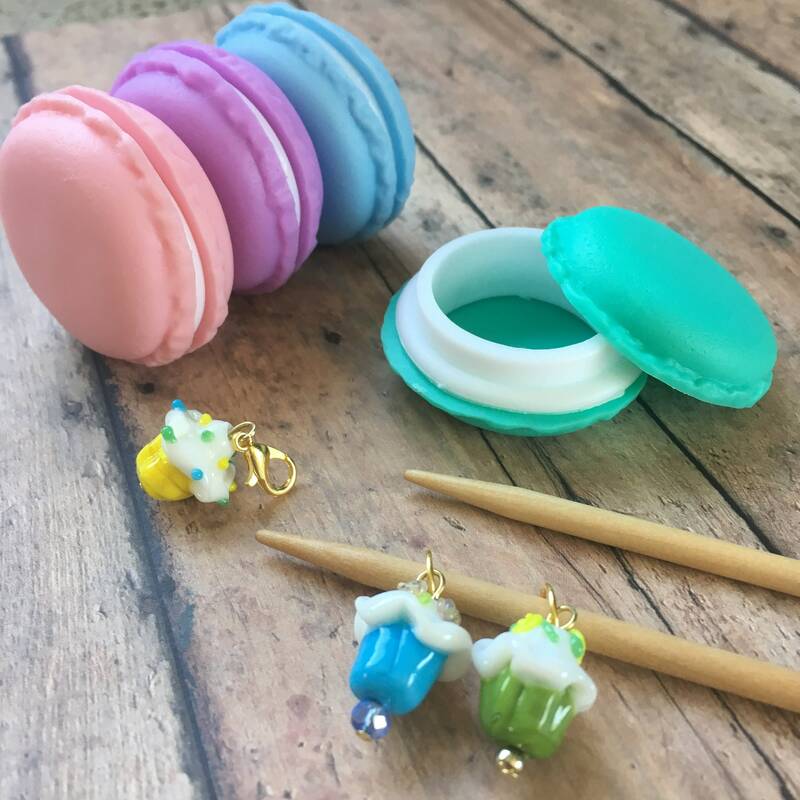 These coordinate perfectly with our Macaron Knit Kits, shown in the last photo of this listing! 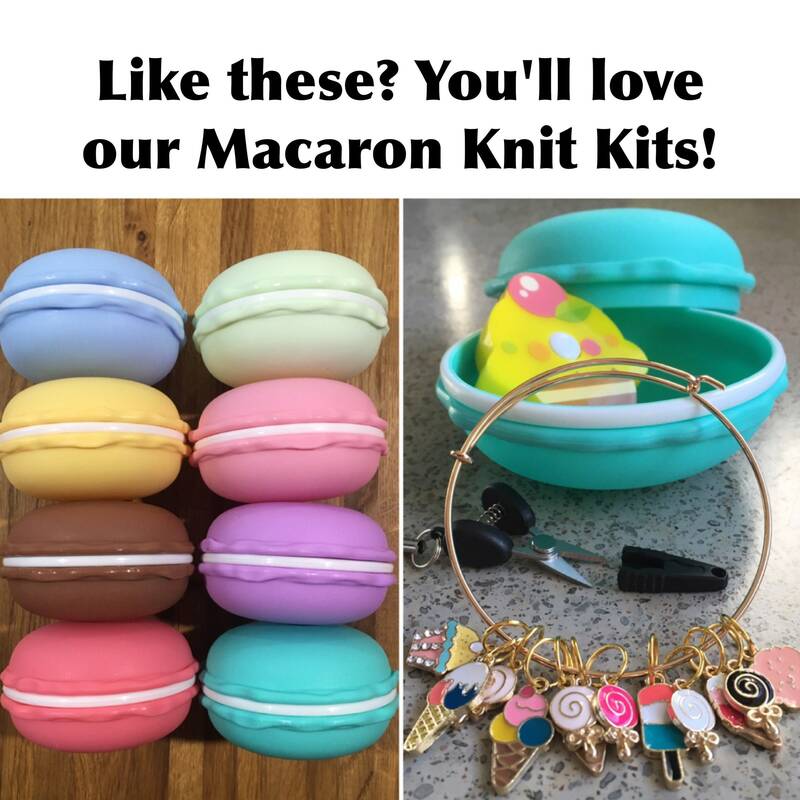 Check them out here: https://www.sexyknitter.com/listing/199818155/macaron-knitting-kit-travel-knit-notions.